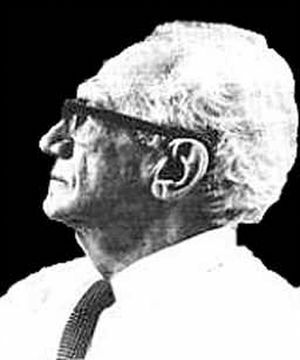 “… Velikovsky is neither crank nor charlatan — although to state my opinion and to quote one of my colleagues, he is at least gloriously wrong. “.. according to Stephen Jay Gould, there were many other reasons: one was Velikovsky’s assumption `that similarity of form reflects simultaneity of occurrence’, which led him to think that all the fossil fish found throughout hundreds of feet of Old Red Sandstone deposits (from the Devonian Period) had died in a single catastrophe, even seeing evidence of this catastrophe in facial expressions and body contortions of individual fossils; another was his assumption `that events are sudden because their effects are large’; yet another was the unjustified `inference of worldwide events from local catastrophes’; a fourth was `the exclusive use of outdated sources’ (most of his references were dated before 1940, with many a good deal before); then there was Velikovsky’s `carelessness, inaccuracy, and sleight of hand’, including his assertion that no fossils are forming today, whereas `anyone who has dug old bones from lake beds or shells from beaches knows that this claim is simply absurd’; and finally, there was Velikovsky’s rejection of continental drift as a possible explanation for geological features, just as a revolution was about to take place which brought this hitherto minority view into general favour, as a result of `the verification of sea-floor spreading’ 30: pp. 153-167S. J. Gould, Ever Since Darwin (Burnett Books, London, 1978; Penguin Books, Harmondsworth, 1980).Trevor Palmer, “Chapter 3: Challenges to Evolutionary Gradualism” Catastrophism, Neocatastrophism and Evolution , Society for Interdisciplinary Studies in association with the Nottingham Trent University (1994), ISBN 0951430718. 3. ↑ Trevor Palmer, “Chapter 3: Challenges to Evolutionary Gradualism” Catastrophism, Neocatastrophism and Evolution , Society for Interdisciplinary Studies in association with the Nottingham Trent University (1994), ISBN 0951430718.